Birthday greetings and wishes have started pouring in from early morning on Monday for Prime Minister Narendra Modi's 68th birthday. President Ram Nath Kovind extended birthday greetings to the Prime Minister and wished for his long life. "Birthday greetings to our Prime Minister @narendramodi. Wish him a long life and many years of dedicated service to the people of the country," tweeted the President. Finance Minister Arun Jaitley also took to Twitter to wish Prime Minister Modi. "Warm birthday compliments to the dynamic and illustrious Prime Minister of India, Narendra Modi ji. I wish him good health and a long life. May he continue to render for many more years his exceptional services to the nation and guide the country to its glory," Jaitley wrote. Lauding Prime Minister for his "dynamic leadership", Goa Chief Minister Manohar Parrikar tweeted, "Heartiest birthday wishes to our Prime Minister Narendra Modi. The nation continues to make progress under your dynamic leadership." Former Vice Chairman of NITI Aayog Arvind Panagariya also extended his greetings through a tweet. "Happy birthday Prime Minister @narendramodi May the nation have the benefit of your strong and dynamic leadership for many years to come", he tweeted. Uttar Pradesh Chief Minister Yogi Adityanath also wished Prime Minister Modi a long life and good health on his birthday. "Heartfelt greetings to Prime Minister Narendra Modi. I pray for your long life and good health," Adityanath tweeted. 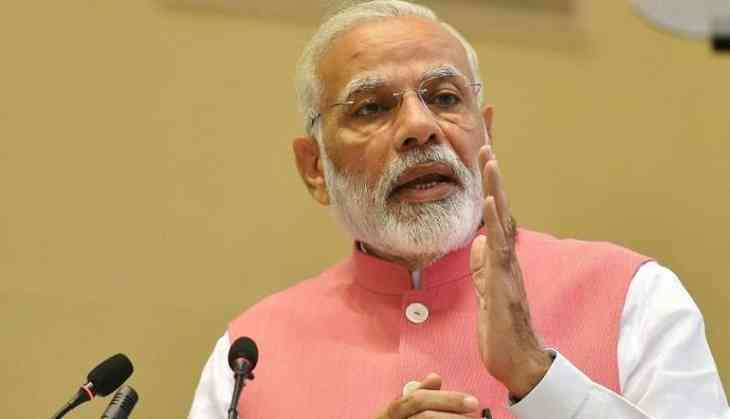 Prime Minister Modi will celebrate his 68th birthday in his parliamentary constituency Varanasi. The Bharatiya Janata Party (BJP) observes the day, September 17, as 'Sewa Diwas' across India with the party leaders organising various welfare programmes like cleanliness drives and blood donation camps.